The multi-function slow juicer & food processor! 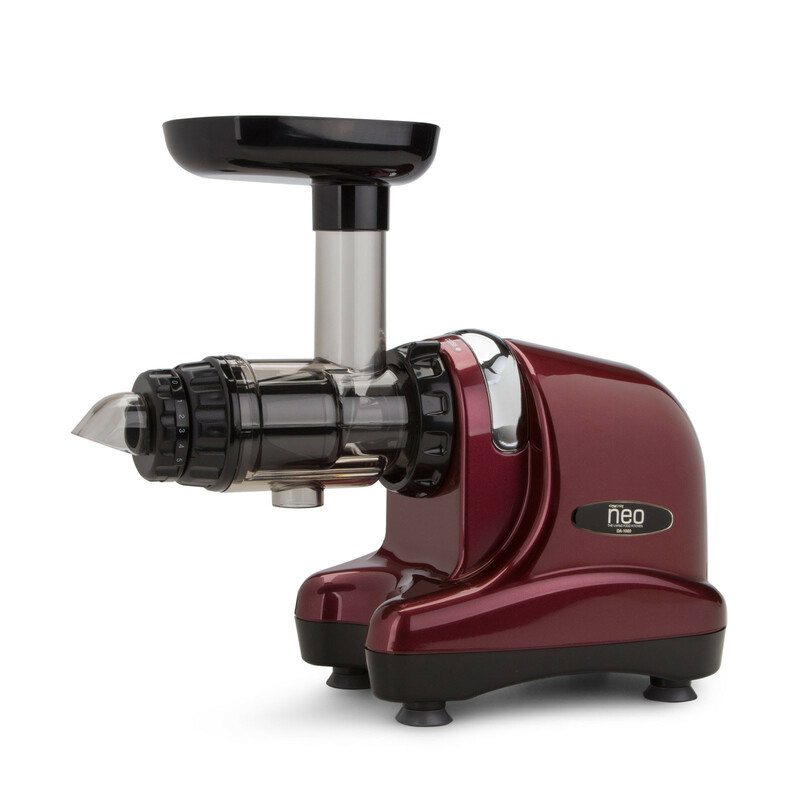 The Oscar Neo DA 1000 is Australia's best-selling single gear horizontal cold press juicer, from the original slow juicer brand, Oscar. Vitality 4 Life have been distributing the Oscar Juicers since their inception over 15 years ago and the Oscar Neo is the result of customer driven feedback and enhancement. 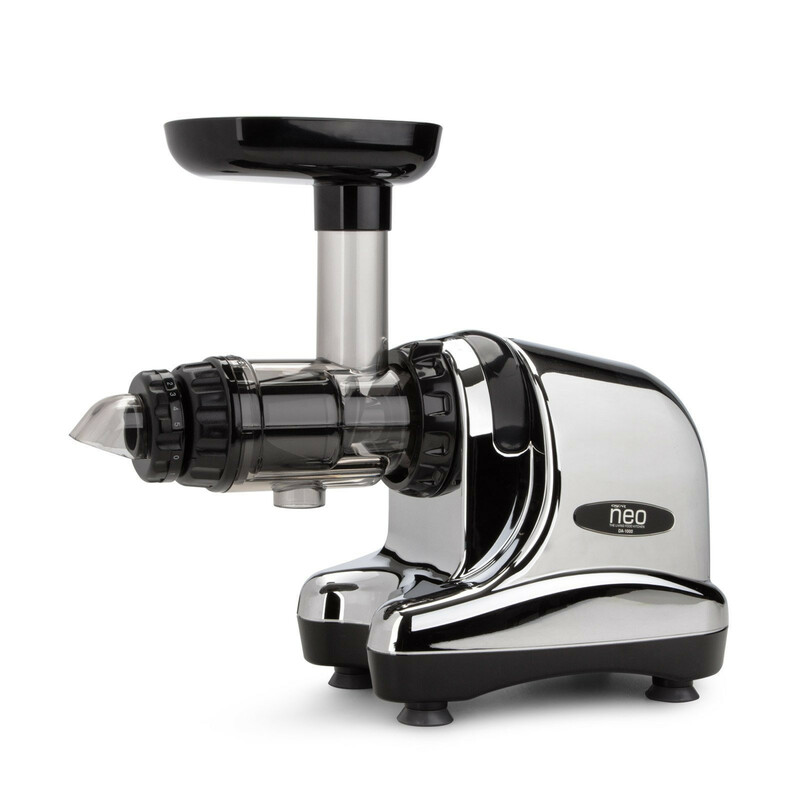 The beautifully sleek and polished design combined with the new pulp adjustment nozzle, Ultem parts and longer warranty, make the Oscar Neo a superior and refined juicing machine. Seamless, pulp free juicing for years & years! 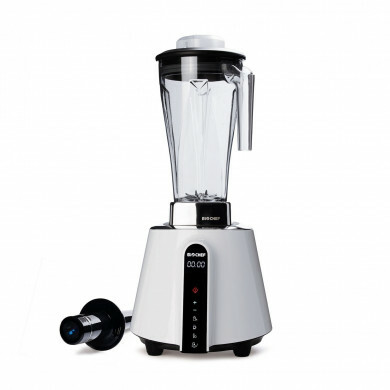 The juicing parts of the Oscar Neo 1000 are made from a FDA food grade, heat-resistant and BPA free polycarbonate called Ultem, which now comes with a 10 year warranty. These parts work together in a 3 stage system; crushing and then squeezing the produce through a "mortar and pestle" action and then refining by straining the fibre from the juice. 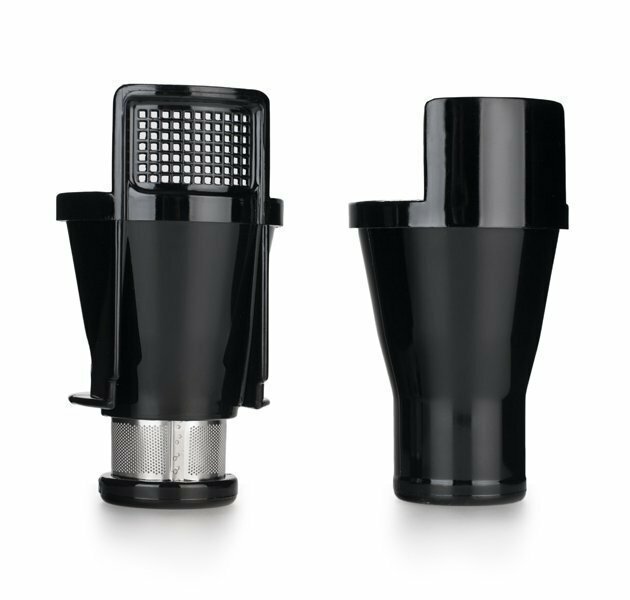 The pressure the produce is squeezed under is user-detirmined through the new 'Pulp Adjustment Nozzle', which was previously only available on more expensive twin gear juicers. This puts you in control of crushing and squeezing the cellulose wall of your fruit and vegetables to release the maximum amount of enzymes and nutrients into your juice and also allows you to determine how much pulp/fibre is in your juice for different taste preferences. The Oscar Neo 1000 features a combined motor and gearbox producing greater torque, a 200 watt motor gives ample power and you get twice the operating life. All internal clips and wiring are fully insulated for safety and to prevent corrosion. The powerful motor is encased in a sleek and durable body which is available in four striking colours - black, burgundy, white and chrome; to suit even the most stylish kitchens. 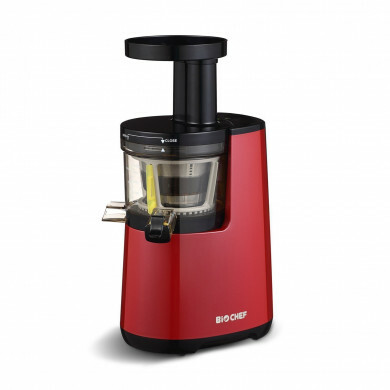 Juice anything from soft fruits to hard vegetables... the Oscar Neo can do it all! 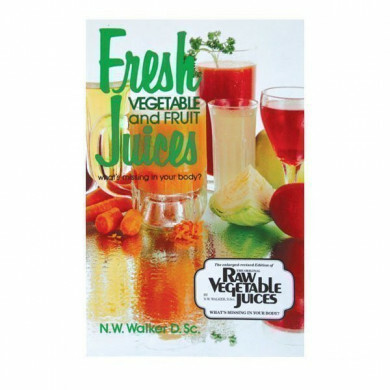 Make delicious real fruit juices for the family from fresh oranges, pineapple or watermelon. Or make pure vegetable juice to satisfy, nourish or detox the body. The Oscar Neo's horizontal style of juice extraction means that you can juice a wider variety of fruits and vegetables including the trickier fiborous green vegetables which have a tendancy to block up normal juicers. 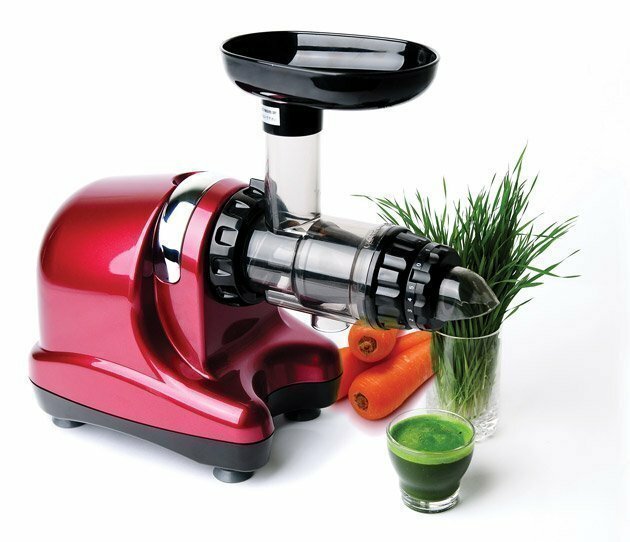 The Oscar Neo is well known for being the best juicer when it comes to juicing wheatgrass, celery, leafy greens, aloe vera, pine needles and other medicinal herbs. 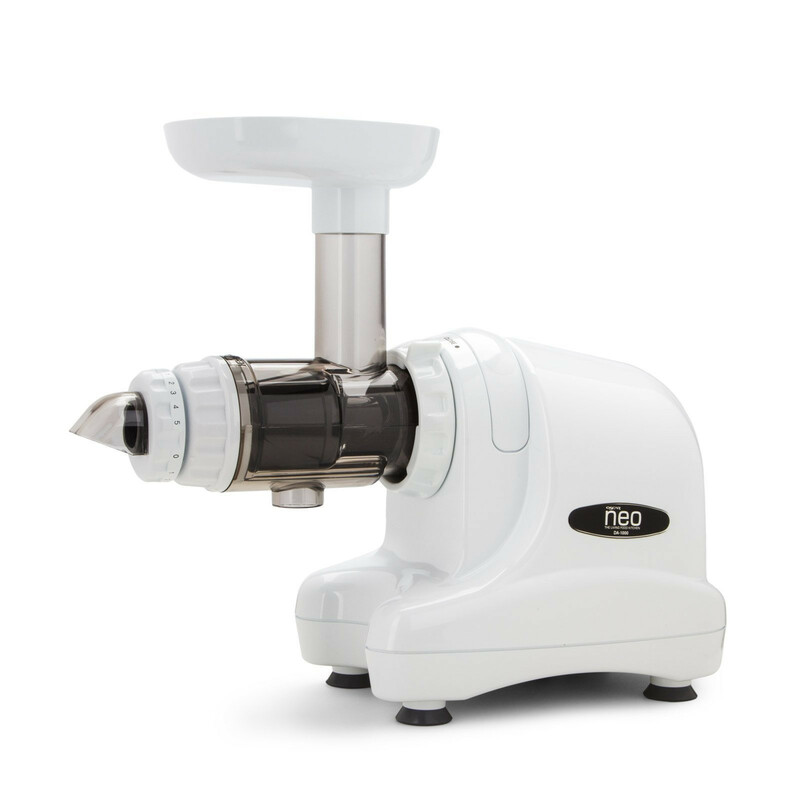 The Oscar Neo 1000 comes with a variety of different attachments which turn your juicer into a food processor. The blank or mincing screen is used to puree, emulsify and crush ingredients and turn them into a paste or sauce like consistency. The 6 included nozzles allow you to shape the processing food; things like making pasta has never been simplier. 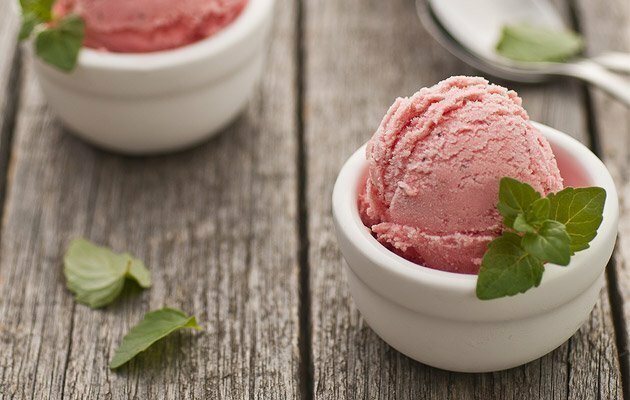 Masticating or cold press juicers are known for producing frozen fruit sorbet which is both healthy and delicious. Perfect for an after dinner or after school treat without the guilt. 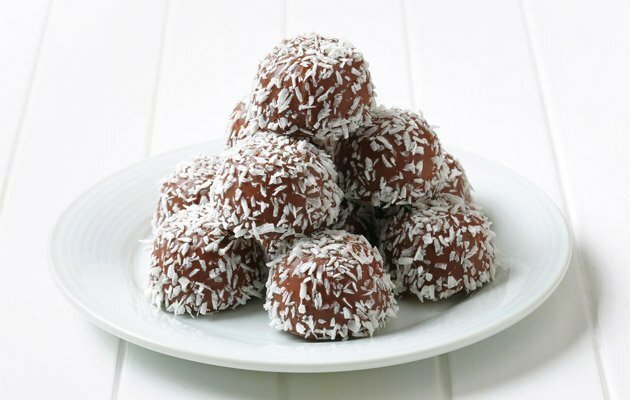 Our favourite treat to make is 'Bliss Balls', a combination of dried dates, figs, cashews and cacao rolled in coconut! If you are concerned about un-natural preservatives, sugars and colourings in the food you feed to your baby, the Oscar Neo can help! 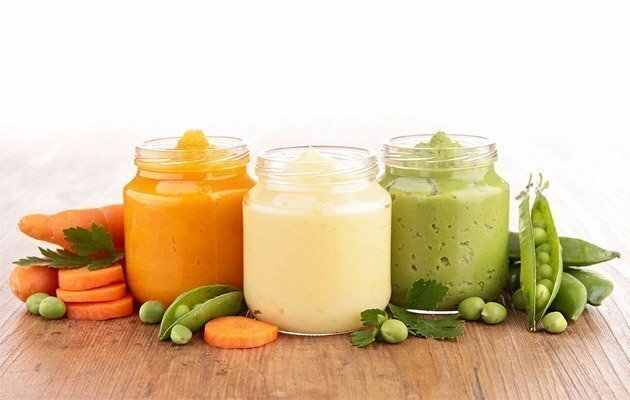 Turn cooked organic fruits and vegetables into smooth pureed meals perfect for both babies or for palliative care patients. Choose the ingredients to suit specific taste or health needs... It could not be easier! We want you to be happy with your purchase, so we invite you to try it for 30 days with our '30 Day Money Back Guarantee'. Remember buying a juicer is a 20 year decision and the Oscar Neo has proven itself to be one of the best investments you can make to your health.